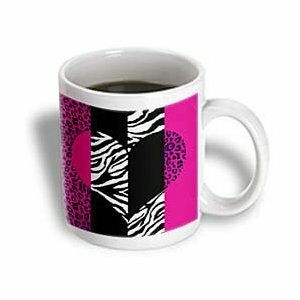 Pink Black and White Animal Print – Leopard and Zebra Heart Mug is new. Why drink coffee out of an ordinary mug when an imprinted mug is so much cooler? Microwave safe, FDA approved. Image is printed on both sides of the mug. Dishwasher use is not recommended.